Vanguard has incredible vision. They help retailers get established and thrive. See key information on select projects. Vanguard believes it's not the size of the deal that matters as much as its economic viability. In fact, some of its smaller projects have provided the best returns along with other added benefits, such as reduced risk in the development process and an easier time gaining permits and approvals. Such a deal happened with the burgeoning Canton area in Baltimore, Md., when Vanguard quietly assembled three parcels of the 2900 block of O’Donnell Square. These parcels included an abandoned warehouse, a vacant two-story building and a small apartment building. Although some residential development was occurring along nearby Boston Street at the time, there was very little activity on the square itself. Vanguard was the first to see value in and begin construction on the square. 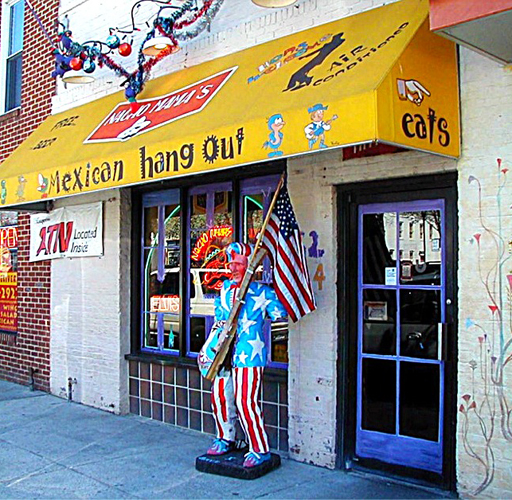 Its building’s initial tenants included the legendary restaurant Nacho Mamas and a handful of other local retailers. The second floor housed a number of businesses. Over the years, other developers picked up on Vanguard’s vision for Canton, helping to create the upscale, urban neighborhood it is today.